There's something so deeply satisfying about eating monkey bread. For one thing, you're literally breaking bread with anyone sharing the experience, and (possibly the best part) it comes with built-in permission to eat with with your fingers. And when you pull apart the pieces, what wonders are revealed! Let's take a look at eight of our favorite sweet and savory ways to make pull-apart monkey bread. More: Browse our entire collection of monkey bread recipes. If you've never eaten monkey bread before, let me assure you there are no monkeys in the bread. The name is thought to be inspired by the similarity between the angular patterns of the baked bread pieces and the branches of the monkey puzzle tree. In its most basic form, monkey bread is created by rolling bite-size pieces of raw bread or biscuit dough in cinnamon and sugar, piling them into a well-greased Bundt pan, and pouring a buttery caramel sauce over the top before baking. Nuts and raisins are often layered between the dough bits to add texture and flavor. After baking, the bread is inverted onto a plate, letting the caramel sauce run down the sides. 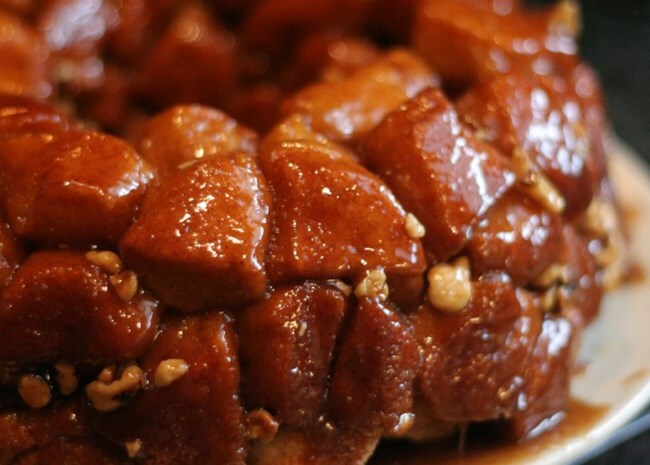 No wonder sweet monkey bread is a favorite of the breakfast and brunch crowd. But, monkey bread isn't always a sweet treat--it can be made in savory mode as well and served as a stunning companion to a hearty pot of soup. Here's the easiest, most basic way to make monkey bread. Be sure to bake it in a Bundt pan and not a 2-part pan with a removable bottom (the kind you'd make an angel food cake in) because the hot caramel sauce will leak through the bottom and ruin your oven. Allrecipes home cook dmf offers this smart tip: "Try not to fill the Bundt pan too high or else it will overflow while baking and create a big mess." Leave a good two or three inches at the top of the pan to allow for the dough to expand as it bakes. Watch the video to see how easy it is to make. This is where you take a basic monkey bread and start to monkey with it (someone had to say it), adding smoky/salty bits of cooked bacon into the mix. Home cook ST1200Girl (who says she's not a sweets person) said, "I used real butter instead of margarine, added a extra 1/4 cup of maple syrup. Winner!" 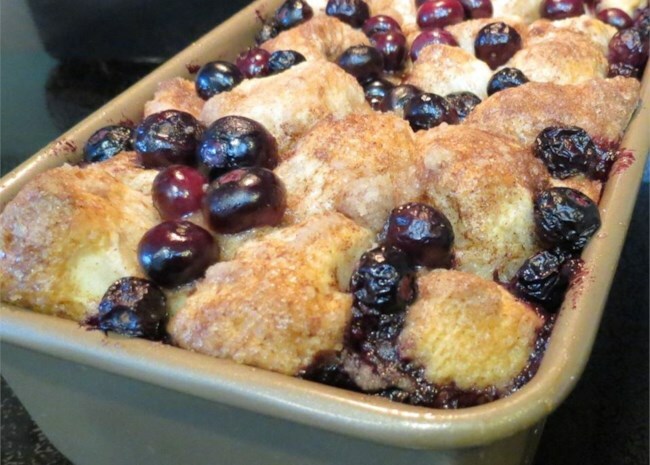 This version of pull-apart monkey bread is made with fresh blueberries (you could certainly use frozen). Home cook Qhhunters changed it up a bit, saying, "I halved this recipe and baked it in a loaf pan. I also cut the biscuits in half and then into 3rds. Layered 2 layers of biscuits sprinkled with blueberries. Baking time was a bit off, baking it 40 minutes and it still was a bit soft in middle. We didn't make the glaze, plenty sweet like this. Husband approved!" 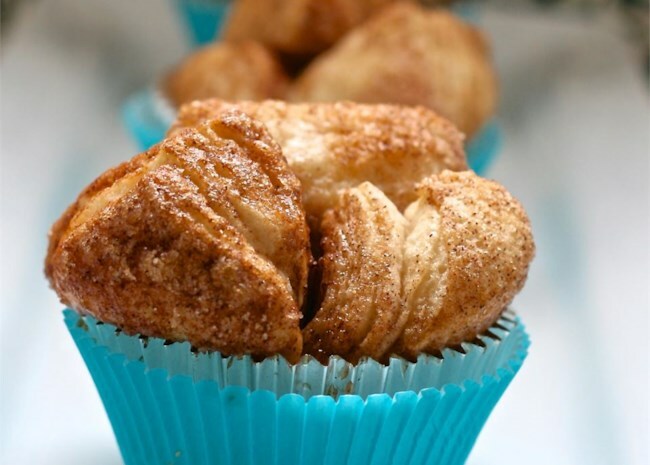 These individual portions of monkey bread baked in muffin cups are perfect for brunch buffets. The caramel sauce will settle to the bottom of the muffin cup, so be sure to use muffin liners in your pan. SHORECOOK says, "This is a fast, easy recipe that is good to make with young ones. Using a pizza wheel, my 8 year old granddaughter was able to do a large portion of the recipe herself. We added raisins and chopped walnuts. It is easy to serve and no mess." 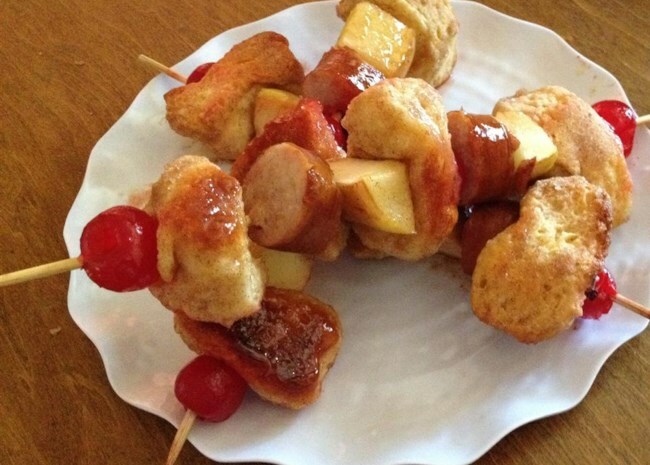 Allrecipes community member SHORECOOK came up with this creative take when she and her granddaughter were looking for a new way to make monkey bread. She adds, "Fresh pineapple chunks may also be added." JATHAT says, "These were such a delightful little treat to make with my children following our blizzard here in CT. To quote my 6 yr old daughter 'They were better than fantastic!'" Bits of biscuit dough get rolled in butter and layered in a pan with jalapeno peppers, parsley, and two kinds of cheese. Recipe reviewer Lana says, "Easy to make and something different to serve with chili or soup or as a snack. Made it for a football game and it was a hit." Here's how recipe creator carol tarnawa describes this magic ring of goodness: "Two old college roommates love bacon. And they love gorgonzola. And biscuit dough. We spent many an all-nighter nourished only by monkey bread. Can you see where we're going? This pull-apart bread is a savory version of the classic monkey bread. And it's awesome. Mmmm... bacon." 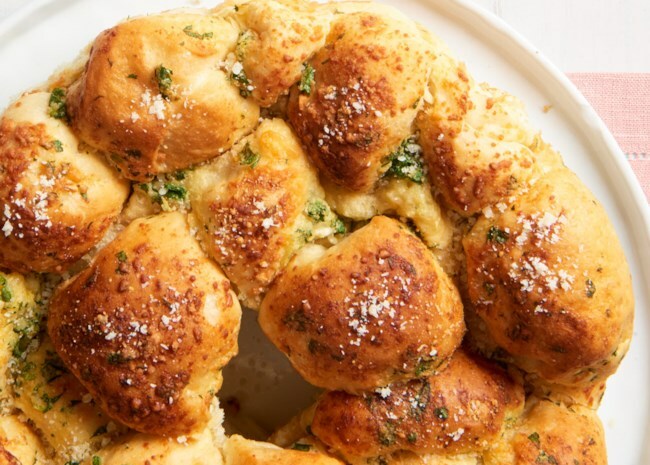 Take a break from biscuits and use bread dough (frozen is fine) to make this buttery, garlic-y, cheesy pull-apart bread. Reviewer PATTY2019 says, "This was so easy and very delicious... kids gobbled it up and requested leftovers for their lunchboxes! I used frozen bun dough, divided in half, and put them into two loaf pans. This is definately a keeper." This pan really is the secret to the most awesome monkey bread. Find all of our homemade bread recipes, including bread machine recipes and no-knead bread recipes.